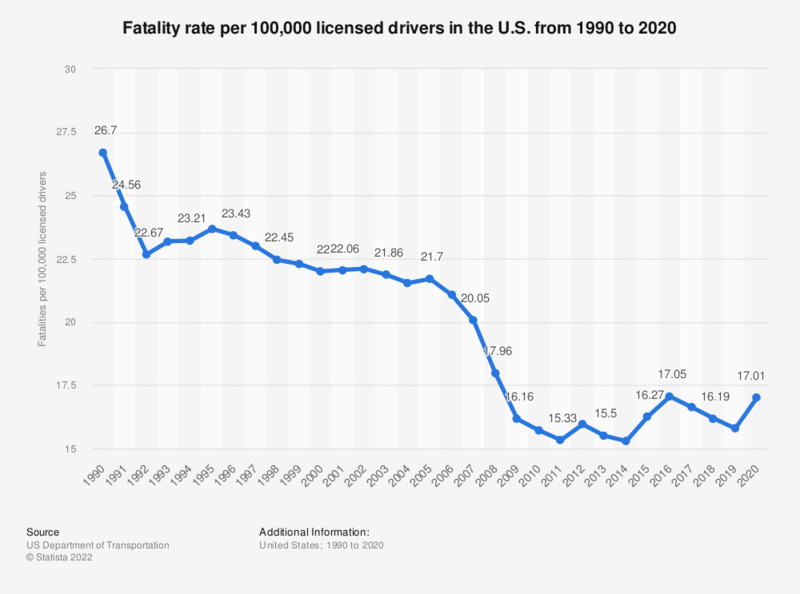 The timeline shows the fatality rate per 100,000 drivers licensed to operate a motor vehicle in the United States from 1990 to 2016. The fatality rate stood at 16.9 deaths per 100,000 licensed drivers in 2016. Some states include restricted driver licenses and graduated driver licenses in their licensed driver counts.